You can, but it’s going to have to be a fairly large dish. If you’re an Alaska or Hawaii resident, you probably know that satellite TV works a little different there. Instead of the pert little Slimline dishes we use in the mainland, the recommend dish is a 1.2 meter monstrosity that requires special mounting. The satellites that provide DIRECTV programming are roughly in line with Texas, and that’s a long way away from Hawaii. So, you need the biggest possible antenna to pick up weak signals and deal with the interference that comes from aiming lower. DISH customers in Hawaii are a little luckier because DISH’s Western Arc fleet hangs out roughly in line with California and just west of there. No special dish is needed, but the great distance does mean careful aiming and the possibility of rain fade. The same is true with satellite TV on the water. You’ll need the biggest possible dish to pick up programming effectively. 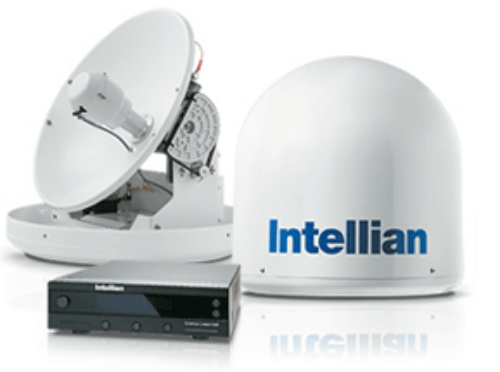 Intellian makes a 90cm dish for DIRECTV and dishes for all other services go up to 2.4 meters. In a case like this, it’s “bigger is better” because it’s hard enough to get satellite TV if you’re in the Hawaiian Islands… add a moving vessel into the mix and it sure doesn’t get any easier. The good news is that it can be done, although if you have a fairly small cabin cruiser you probably don’t want a 10-foot-wide satellite dome on it. So, some smaller boats may be out of the running for satellite TV. You don’t have to guess, though — luckily for you there are marine satellite experts who are ready, willing, and able to walk you through the process, help you choose the right equipment, and activate your service. We can even help you find a local installer, send one of our qualified technicians, or work with someone you already have. It all starts with a call to Signal Connect at 866.726.4182, where you’ll find trained experts who spend every day working with people like you. Our team is dedicated to getting it right, the first time and every time, and we’re only satisfied when you’re satisfied!